While to all intents and purposes, a winter weekend in Ibiza may not have found the island at its best (it was after all almost completely deserted with only around 10% of businesses open and even fewer people left remaining) there was one part of the island which lacked nothing despite the time of the year. 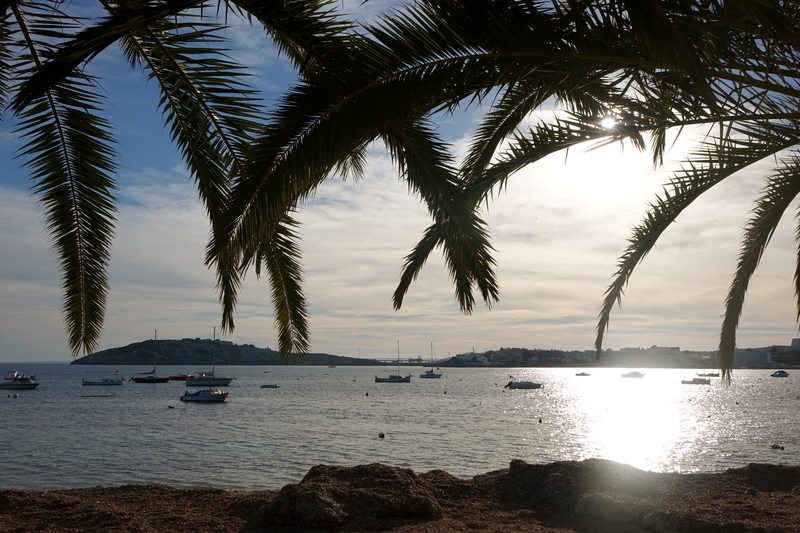 Just minutes from our hotel at the Marina Botafoch lay a sensation in waiting – the beach at Talamanca. With a wide white sandy beach and sumptuously crystal clear waters, this was the kind of beach that seduces millions with promises of the summer in travel brochures every year. 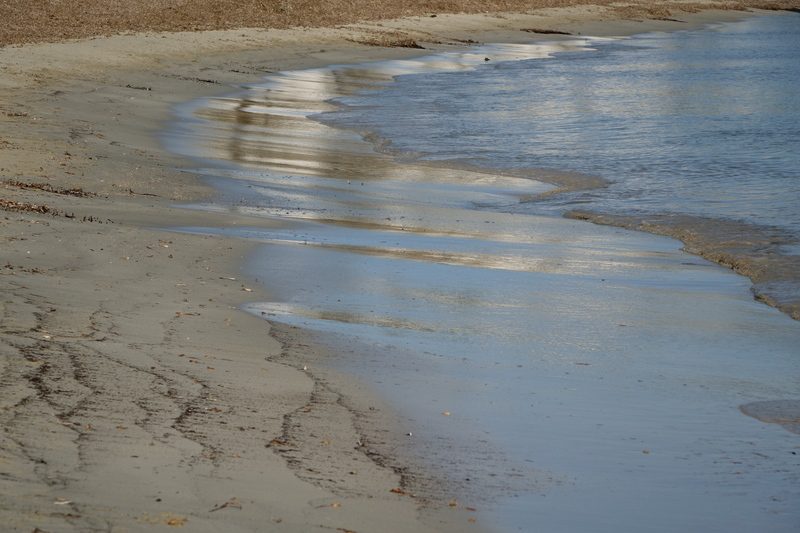 Yet here we were on a January afternoon, with an exquisite long beach before us, the sun shining in the sky, and barely a soul around to interfere with our utmost enjoyment of it. 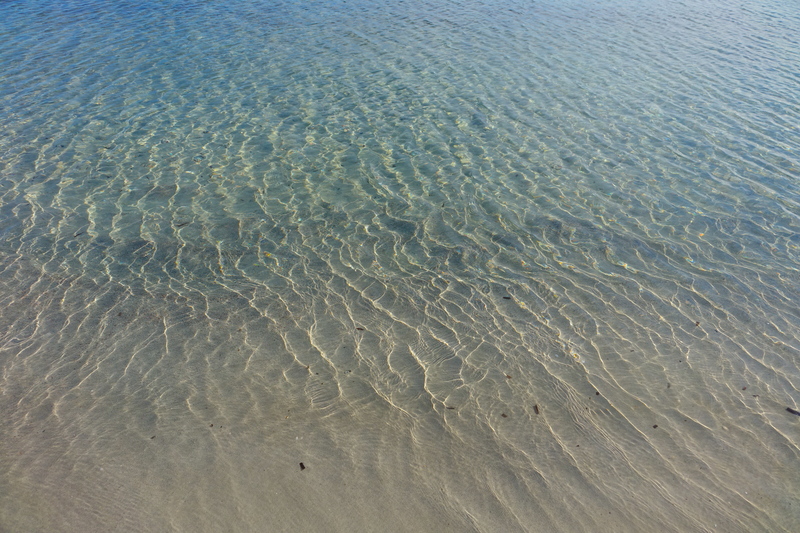 What struck me most of all was how serenely calm the waters were, almost as though the sea itself had taken advantage of the low season and gone to sleep for a while. 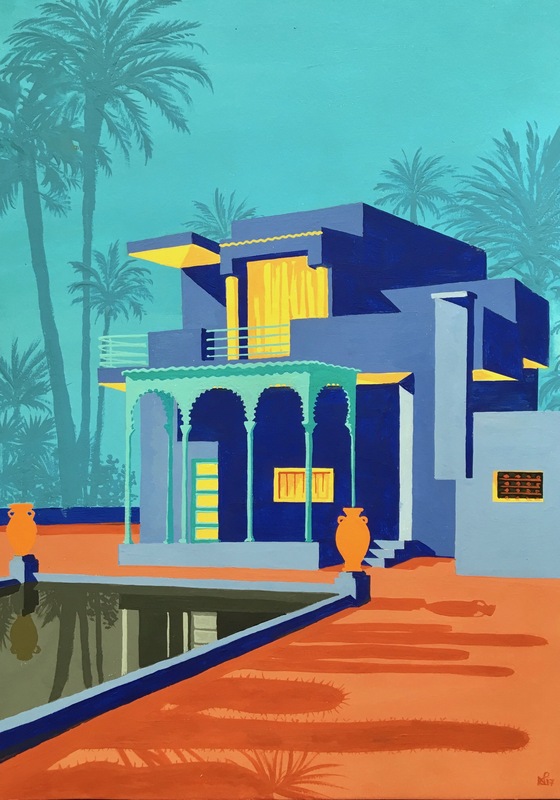 The waters were so still, that they managed almost a near mirror-like reflection of the low lying coastal houses alongside them – the kind of image you expect to see in a still mountain lake rather than the Mediterranean sea. 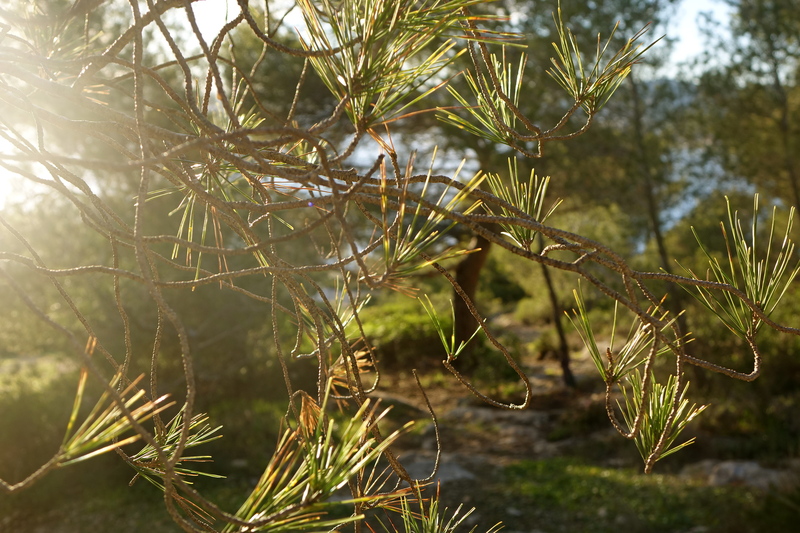 I was also delighted by the abundance of natural scenery located so close to Ibiza’s capital. For just past the hotels and holiday houses lay vast rocky outcrops calling out to be explored. It was there that, up on a cliff top, we stopped to read and relax with the most incredible view back on Ibiza Town and the vertiginous plunge down to the azure waters below. So once again the Balearics showed that the melancholy of winter would not defy their beauty. 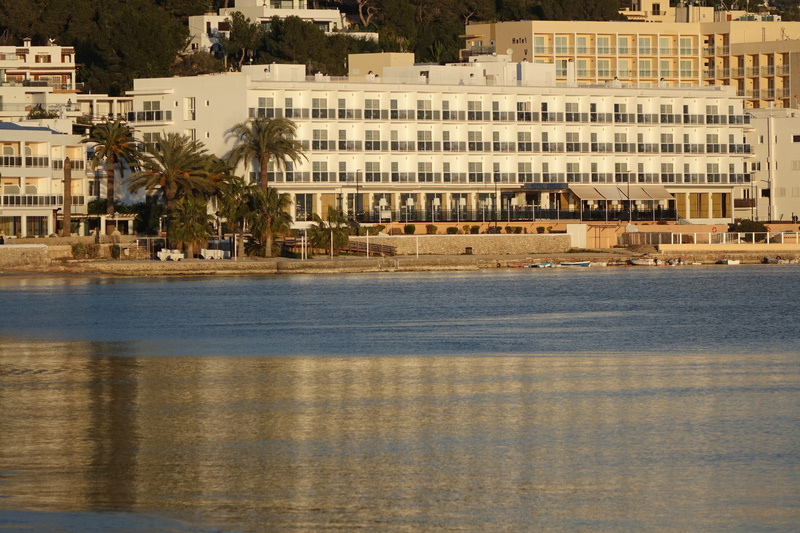 Here on Talamanca beach, we had truly found a reason for all the fuss that surrounds Ibiza every year.